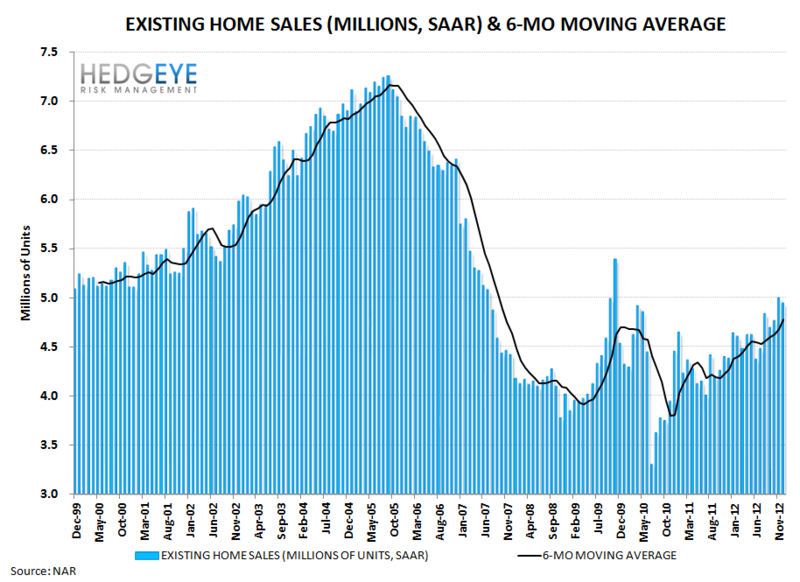 Takeaway: Don't be confused by the knee-jerk reaction to today's existing home sales number. The inventory number was better, and that's what matters. 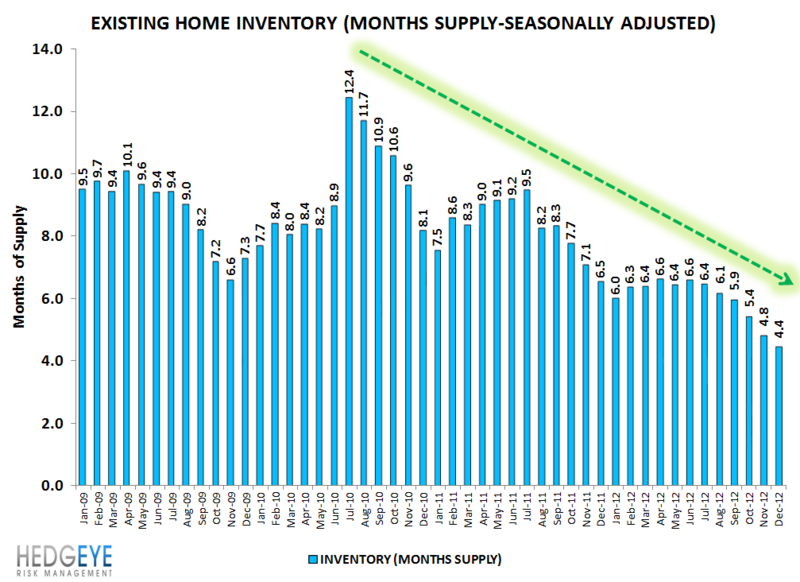 While the media is focused on the headline sales print for December existing home sales declining 1% MoM and coming in below expectations, we're focused on the inventory number, which is down 23% vs. last December and carries with it very strong future pricing implications. 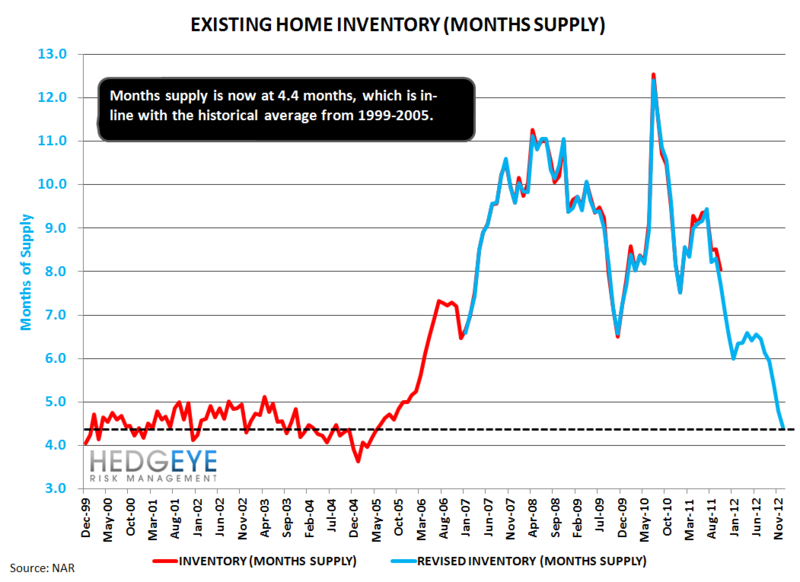 As those who follow our pricing models know, a change of 1 million units in inventory affects future (11 months) HPI prices by 12.1%. 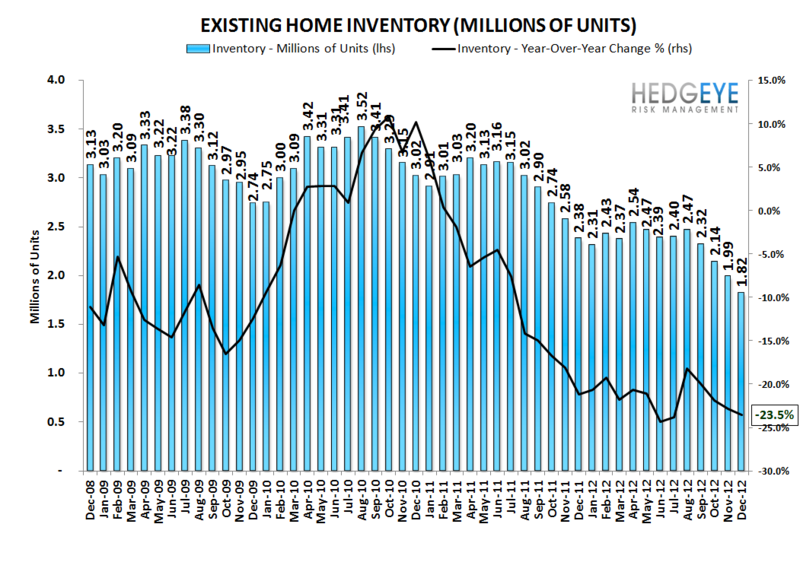 As such, this morning's sequential decline in inventory of 0.17 million units equates to an additional 200 bps of upward pricing pressure in the coming year. Similarly, on a month's supply basis, every one month of supply equates to a 4.1% delta over the coming year, so this morning's decline of 0.4 months works out to 164 bps of incremental (i.e. 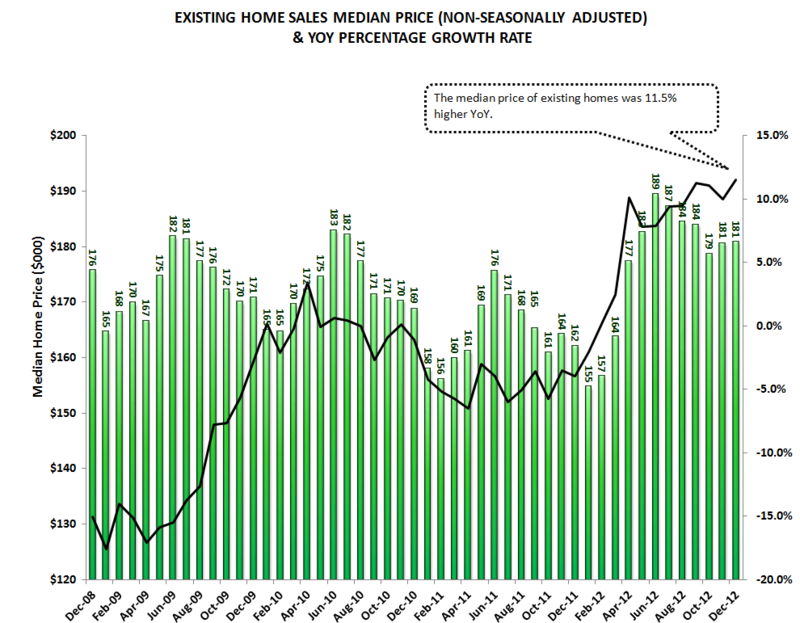 vs. last month's expectation) upward pricing pressure over the coming year. These are independent models so the fact that they arrive at similar, albeit slightly different, conclusions is important. 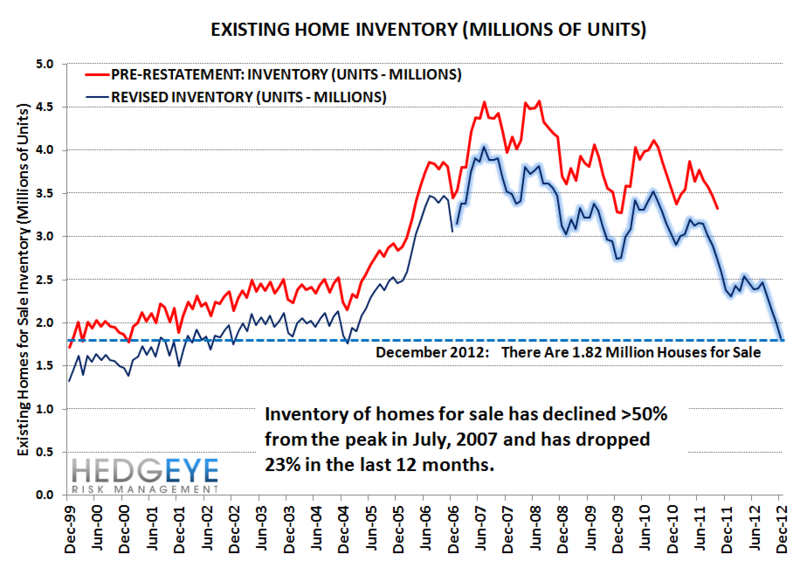 We're not concerned about the shortfall in the existing home sales number. 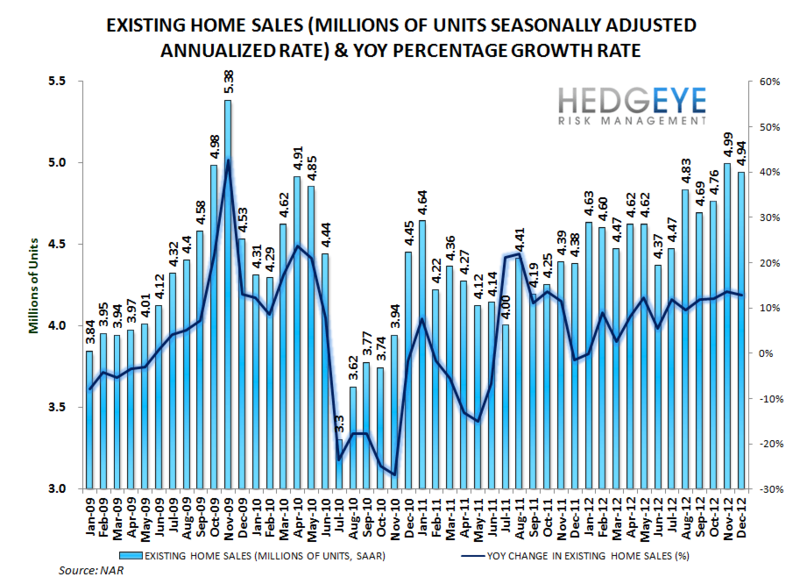 More recent MBA volume statistics and the most recent pending home sales reports are better, more recent, indicators that show demand remains robust and growing. As a reminder, our thesis revolves around price reflexively driving demand, and that demand, in turn, driving price further.